Renate Laine, Marcus Rosano, Sanjay Suchak Arts & Humanities	 An Evening with Frederick Law Olmsted, Sr. , performed by Gerry Wright.Musical performance by Andrew McKnight. An Evening with Frederick Law Olmsted, Sr. , performed by Gerry Wright.Musical performance by Andrew McKnight. 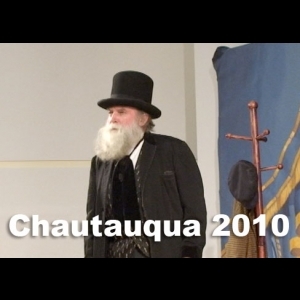 Embed "Chautauqua 2010" on your page.